A delicious cake to enjoy with a cup of tea, chai or coffee. I love pears in cake but had gotten a bit bored of making the pear and almond cake which although is without a doubt delicious, but it's fun to try new reciepes. 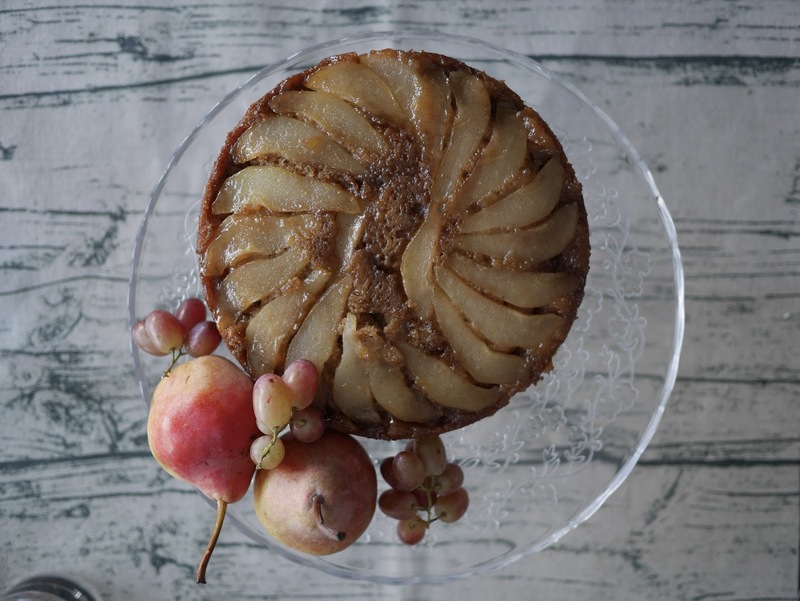 I love the warming spices and addition of caramel in this upside down cake which make it perfect to enjoy during the colder months. We enjoyed this along with an elaborate afternoon tea on a cold Sunday afternoon and then finished the rest for desert. It's a very moist cake so would keep well for a few days in an airtight container. I used a 9Inch tin to bake this, which I forgot to grease but you should. As it was a ring tin I placed it onto a baking sheet in case of any leakages. 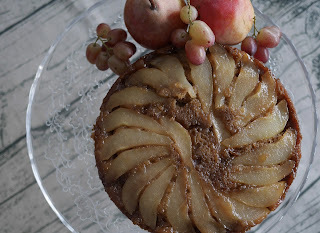 This was my first time making an upside down cake but something I will definitely be trying again with lots of different fruits.